Listen to a wonderful ministry of song and Spirit by Frank Graves, Erica Campbell, Canton Jones, Tiffany Gilkey Shears, The Walls Group, Tye Tribbett, Angela Hearns, Bobby Jones feat. Faith Evans, Bill Lomax, Connie Mcclurkin feat. Preashea Hilliard and the Anderson Sanctuary Choir. Hosted by Melvin Slade. Click on the Media Player to hear the music. Listen to William Murphy, Marvin Sapp, Jonathan Nelson, BeBe & CeCe and Tracy Edmond minister to us in song and Spirit. Pastor Tom Pickens, Pastor of the Antelope Valley Christian Center of Lancaster, CA brings us the a forgiving word entitled “Releasing the Blame. 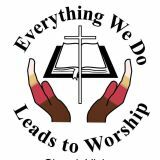 Click on the Media Player to hear the a wonderful ministry of song and the Word of God or click on the link below to hear the Word by Pastor Tom Pickens. 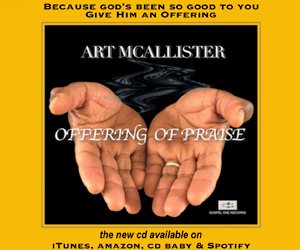 Gospel Music from Hezekiah Walker, Jason Nelson, Tamela Mann, Jessica Reedy, Bro. Estus Patterson, Donnie McClurkin and Donald Lawrence. 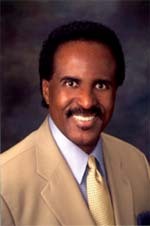 Evangelist Pat Montgomery the Assistant Minister of Deliverance at Calvary Baptist Church of Pacoima delivers an empowering message on Clearing the Mind and filling it with the Mind of Jesus. Click on the Media Player to hear the entire ministry of powerful gospel music and the Word of God. Click on the link below to hear the message by Evangelist Pat Montgomery. William Murphy, Bishop Paul S. Morton, Tye Tribbett, Anthony Brown, Charles Jenkins, Marjene’ and Kurt Carr minister in us in song and spirit. Superintendent Michael X. Richardson, Pastor of Grace Place COGIC brings us a Word from the Lord on following the Word of God to get Bible results with his sermon entitled “Bible Way gets Bible Results”. Click on the Media Player to hear a spirit filled ministry of some today’s best gospel music with host Melvin Slade and a Word from the Lord from Pastor Michael X. Richardson.